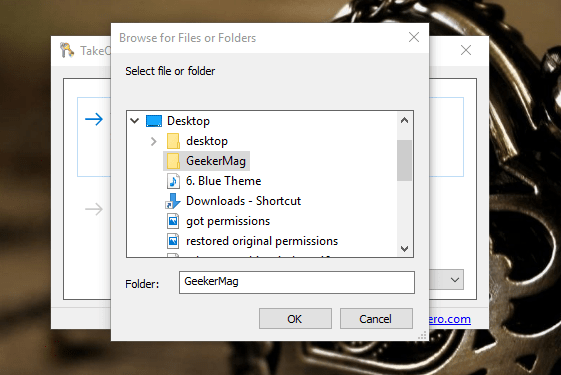 Looking for the way on how to take ownership of folder in Windows 10? In this article, you will find out the most comfortable way on how to do that. Sometimes conditions come when you have to gain full access to the files and folder in Windows 10. In most of the cases, these are system files and folders or created from the user who is no longer an active user. I’m sure not all users know how to take ownership of folder in Windows 10 as the process is little complicated. As you have to perform the various step to gain the ownership. So to help those users, I decided to cover the easiest way in this post. 1. 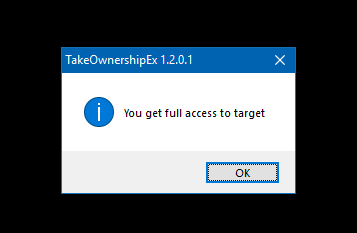 Download TakeOwnershipEx zip file using this link. 2. Extract the zip file using any archiving tool. In the extracted folder you will get two different files. 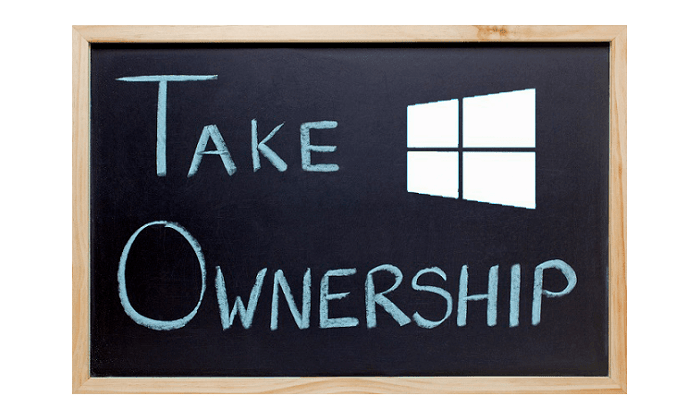 You need to run the file with name “TakeOwnershipEx-1.2.0.1-Win8“. When UAC dialog box appears, click Yes to continue and complete the installation. 3. 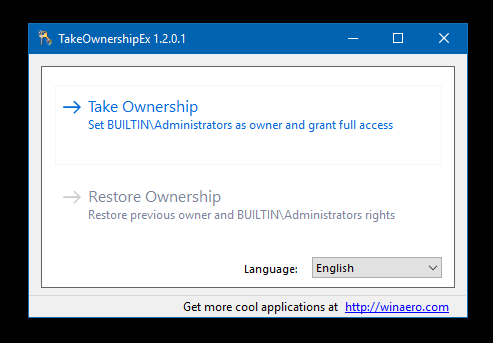 To take ownership of the folder, make right click on the system file or folder and from the context menu click Take Ownership/Restore Rights option. UAC dialog box will appear, click Yes to continue. 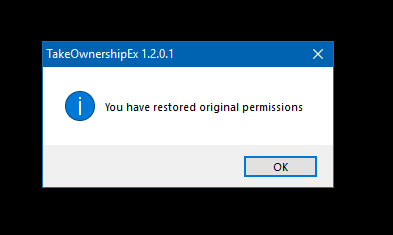 This message confirms that you have successfully gained the ownership of the folder in Windows 10. You can manage the folder the way you want. Click on the “Take Ownership” and navigate to the folder of which you want to gain permissions and click OK. Following the same procedure, you can restore the original permissions. I hope you find this tutorial useful. 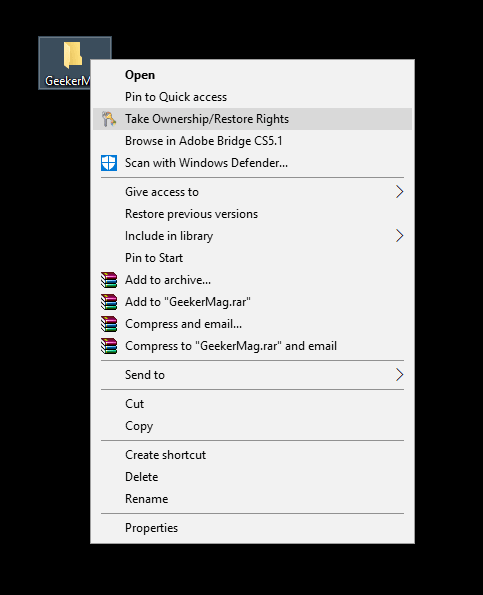 Try this most straightforward method to take ownership of folder in Windows 10. If you have any query drop it in the comments.